Olivia Colman has confessed she’s worried about what Carol Thatcher will make of her portrayal of her in an upcoming film. The Rev star plays Margaret Thatcher’s daughter in The Iron Lady, alongside Meryl Streep as the steely former Prime Minister. “I’m not a terribly good impersonator so… hopefully people will allow some artistic licence,” Olivia revealed. And Olivia revealed she researched her character by watching hours of footage of Carol on the 2005 series of I’m A Celebrity… Get Me Out Of Here! “I watched all of I’m a Celebrity – she came across brilliantly. She was hilarious. And if you’re ever going to be stuck in the jungle you’d want her on your team,” the actress added. 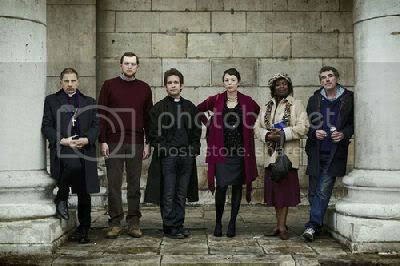 :: The new series of Rev begins on BBC Two on Thursday November 10. At then end of the last series Adam’s faith was looking wobbly. How is he now? Tom Hollander: In the first episode Adam is at a religious retreat, a place of contemplation, getting back in touch with the reasons he became a vicar. It goes well and quickly he’s back in the world of his parish, but it’s not long before he’s under pressure again when he becomes a have-a-go hero entirely by accident, and then gets nominated for a special award he knows he really ought to turn down. The real-life clergy seem to love your warts-and-all image of a city vicar. Did you expect such a warm reception from the Church? Tom Hollander: People in the clergy are not used to seeing themselves portrayed as essentially the good guys, which is really what Adam is. We feel we have accidentally made large shoes with this show, but all we set out to do was make a TV series. We were thrilled and surprised that it was so successful. 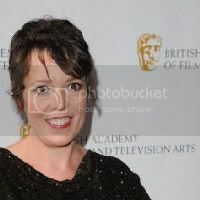 Olivia Colman: We talk about the BAFTA every day! Do the clergy recognise the smarmy Arch Deacon Robert as being a realistic character? Would you make a good vicar? Tom Hollander: I don’t think so. But I thought about it when I was a choirboy at prep school. When I was about nine years old, I once read the lesson. I thought I was quite good at public speaking. I waited for every single last person to kneel before I started and enunciated very clearly. Someone said, ‘ I think he might be a bishop,’ which sounded good to me. Probably everyone else thought I was an idiot! You film in a real church. Is that strange? Tom Hollander: After a while we forget ourselves. Once, two of the crew started an impromptu game of cricket while we we waiting for a scene to be set up. Olivia got properly upset. 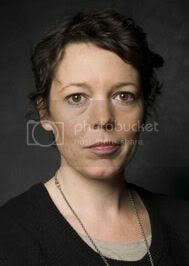 Olivia Colman: It felt wrong! There was too much ‘Owzat!’ going on. Tom Hollander: And one of them was the son of a clergyman. Why does Adam persevere with trying to revive this massive but empty church? Tom Hollander: We are all used to thinking of our country as a strange rackety compromised version of how it used to be — staggering into a future that is uncertain, full of glorious memories of the past that nothing in the present can quite match up. Yet loving it all the same. The Church of England is a good index of all that, with all its beautiful buildings that can’t be maintained, but yet you want them to be. You can see the past in the church as well, which is a reason I like it that Adam is trying to keep the temple there. The church where we film — St. Leonard’s in Shoreditch, east London — is full of plaques to people in the history of London. Richard Burbage, the famous actor, is buried there, and James Parkinson, the man who discovered Parkinson’s Disease. The font was built to commemorate people who died in the Battle of the Somme, carved out of a single piece of marble that was polished in Cable Street. So the past is there and whoever the vicar is, in any historical church anywhere in the country, is presiding over this continuity. These buildings represent so much. Are there new faces to look out for in the show? Tom Hollander: Sylvia Syms comes in as an old lady. 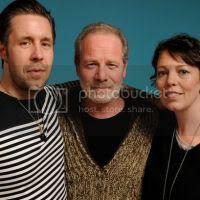 Olivia Colman: And Alex’s dad arrives. But we can’t tell you who plays him because it would spoil the surprise.And Olivia’s dad. He is a raving atheist and thinks religion is all nonsense. He’s also quite right wing and he thinks the way Adam wants to help people is all a bit distasteful. He’s grumpy, cutting and awkward to have in the house. Tom Hollander: He thinks Adam isn’t good enough. They don’t have long theological discussions. It’s too tense for that. Why does the relationship between Alex and Adam work? Olivia Colman: Their relationship works because there is a deep-seated admiration for each other and they genuinely love each other, so whatever gets thrown at them they have to remember that. They always seem to remember that why they are together. And they make each other laugh. 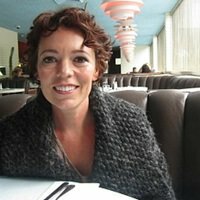 Olivia Colman: I’ve got a few things coming up over the next few months. Tom Hollander: I’ve no plans at present — unlike Olivia, who is going to be everywhere over the next few months. Not only is she in a new movie, Tyrannosaur, she’s playing Carol Thatcher in Iron Lady in January, and in the film Hyde Park On Hudson with Bill Murray playing Queen Elizabeth, the Queen Mother. She’s the real star! A stealth success, Rev generated an average of two million viewers a week and quickly became BBC Two’s highest-rating new comedy. An intelligent British sitcom in the manner of Peep Show and The Thick Of It, it follows the life of the Rev Smallbone, a hapless figure with a good heart, as he takes on the challenges of an inner-city east London ministry at St Saviour in the Marshes and all the grim realities that come with it. 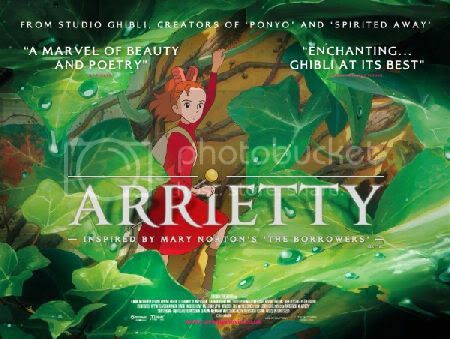 Directed by Peter Cattaneo (of Full Monty fame), this was entirely different to any twee, bucolic picture of a Christian calling that might have been painted in the past. Gritty and urban, with a sophisticated vein of dry humour running through it, Rev’s greatest achievement was to give a real, human face to a modern man of the cloth. Critical praise for its gently comic tackling of pertinent issues – from the middle-class stampede for church school places (‘On your knees, avoid the fees’) to the terrifying lack of ecclesial funds – was unanimous. Even Dr Rowan Williams, the Archbishop of Canterbury, publicly declared it ‘really rather good’. Within weeks of the first series ending, Rev, which went on to win the 2011 Bafta for Best Sitcom, had been recommissioned. Less than a year later, the case is assembled on the pews of St Leonard’s Church in Shoreditch, London, trying to stifle giggles as Cattaneo reworks a Christmas table scene into a pastiche of Leonardo da Vinci’s The Last Supper. This is the culmination of the Christmas special, which Wood has co-written with Sam Bain, one of the award-winning writers of Peep Show. Even Geoffrey Palmer, the veteran of British comedy, is here, in all his grizzled glory, for a one-off appearance as Hollander’s father-in-law. The other faces are reassuringly familiar from series one: Miles Jupp (who plays the perniciously ambitious lay reader, Nigel), Simon McBurney (the smoothly sinister social-climbing archdeacon – ‘Can’t stop. Off to Chris Hitchens’s book launch’), Steve Evets (Colin, the hard-drinking lovable lost soul), Ellen Thomas (cassock-chasing church matriarch Adoah).